This work has been re-titled by the artist as Depression Woman in 1994. 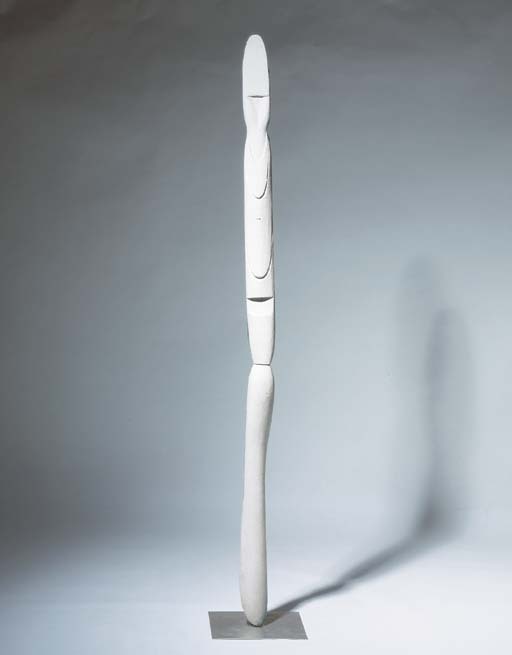 Spoon-Woman is one of a celebrated group of wooden "figure" sculptures with which Louise Bourgeois made her sculptural debut at the Peridot Gallery in New York in 1949 between 1950. All executed on a human scale, Bourgeois' strange, haunting 'figures' are physical materialisations of unspecific personal emotions related to individual members of her family. They are not modern totems - as they were first understood to be in the all-pervasive and distinctly "heroic" climate of Abstract Expressionism current at the time - but archetypal manifestations of forces in Bourgeois' own unconscious that have been made concrete through the actions of the artist. In this sense they are truly primitive creations.